Westerlands organise the following open hill races: Ben Lomond, Whangie, Kilpatricks, Cort-ma Law, Arrochar Alps, Two Breweries, and Run of the Mill. Full information for all these races can be found on the Scottish Hill Racing or Scottish Hill Runners. The new version of the Kilpatricks Hill Race. Organised by Westerlands. All competitors are required to carry map, compass, whistle and full-body weatherproof cover. Failure to do so may result in them not being allowed to enter the race. Parking is extremely limited at the race start. Race parking is provided at Carleith Primary School (G81 6EF), under 1 mile from the race start. Competitors are strongly encouraged to car-share or travel by public transport – Kilpatrick railway station is 200M from the race start. Entries are via the SiEntries website. The origins of this race stem from the sadly departed Grudge Matches held between Westerlands and Hunters Bog Trotters. Its never too steep or boggy or rough enough to justify walking although if you want you can stop and appreciate the fine views over towards Loch Lomond. At 4 miles and 800 feet its a very popular wee mid-week race. A long-standing race which became a Westerlands production in 2007. The race has a surprise item to aid fence crossing. This varies each year from coffee table, old chair, to straw bale. Prize giving theme in 2009 was bathtime – towels and bubbles!! (as well as the usual alcohol, for those of you who find Radox undrinkable). The route had to be changed in 2018 due to forestry operations. The Cort-ma Law race was first run in 1985. It is commonly held in June and proves rather popular with an average showing of about 50 runners. Please remember that this race is a category AM race, so windproof body cover, map, compass and whistle are mandatory equipment. The race is open to those who are aged 16 or over at the start of the year. At 6 miles and 1700 feet it is a good tough workout. The course follows a fairly clear path although the bogs remain a deep and wet proposition. The most memorable event related to this race has nothing to do with Mark Rigby running towards the wrong hill, or Isabel Coombs being carried off the hill by some rather excited ambulance men, but the now infamous Map and Compass War Dance performed by the original race organiser Big Al Campbell one year. The dance turned into an annual event that attracted large numbers in its own right. Sadly Big Al no longer organises the race so the spectacle of will remain only in the memory of those who witnessed it. Shame! This is a tough mountain race and should not be undertaken lightly. The race was created in 1987 and was run annually until 1992, before being abandoned due to repeated bad weather. 15 years later, Jason Kaushal and Westerlands resurrected this race for 2007, and the race has now been run several times in the modern era, usually in awful weather! The race starts outside Traquair House and finishes at the Broughton Ales Brewery. Based upon an original idea by Andy Curtis, the race can be divided into 2 halves. The first follows climbs and descents over heathery Scottish border hills. The second half has less climbing and more running on farm tracks. The final section over Trahenna Hill is particularly arduous. The last race was in 2017. A new race created in 2010, to raise funds for the Scottish Hill Racing website. 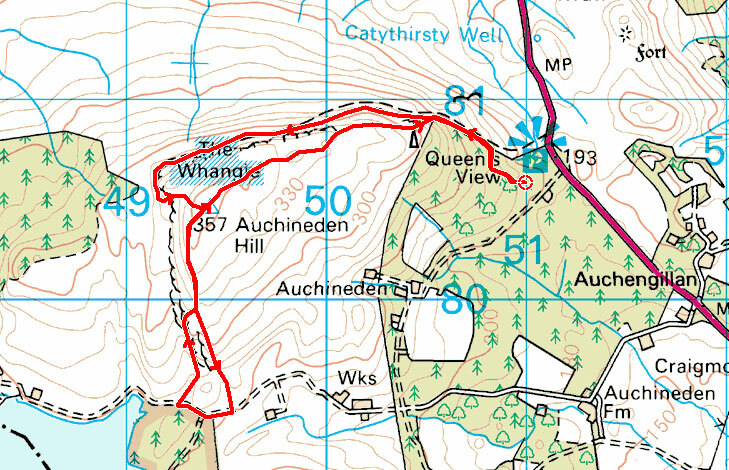 A very runnable route, starting in Alva and following a track through Woodland Park to Tillicoultry, where there is a sharp climb to follow the path towards Kings Seat. The gradient eases and runners head across to Andrew Gannel Hill, then on to the high point of Ben Cleuch. A sharp drop leads to the jog up to Ben Ever, then it’s a fast and furious descent back to Alva.